A Gudu Upper Area Court on Thursday sentenced a 25-year-old labourer, Buhari Abdulkarim, to seven weeks imprisonment for stealing air conditioner in a church. The convict, who pleaded guilty to the two-count charge of criminal trespass and theft, told the court that his devilish mind led him to steal. The Upper Area Court judge, Mr. Umar Kagarko, who gave the judgment ordered that the convict is given additional seven strokes of the cane. He, however, gave him an option of N12,000 as fine. The prosecutor, Mr. Babajide Olanipekun, told the court that Insp. 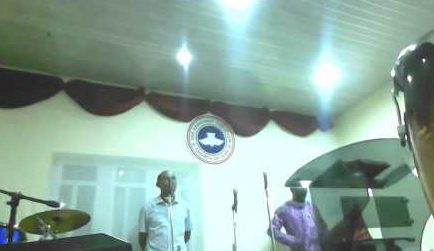 Sunday Lubolagbe reported the matter on behalf of the Redeem Church, Lokogoma at Apo Police Station on Aug. 11. He said that Abdulkarim of Ruga village criminally trespassed into the church arena and stole the church air conditioner. Olanipekun said that during police investigations, the air conditioner was recovered from him. Yeye man stealing in the house of the Lord blaming it on the devil. I NEVER knew that a Nigeria’s court other than sharia court would be talking about flogging a convict. Is this not barbaric? Are we gradually adopting sharia ideologies into our constitution? Dare try stealing from a mosque as a christian and you won’t live to tell the story.